I’ve previously written about how to retain iOS 6 Legacy Look when deploying your apps to iOS 7. This can be achieved by simply using Xcode 4.6.3 to compile and submit your apps to the App Store. The good news is that there is a way to do this with Xcode 5 too, and therefore we can take advantage of all the improvements the new version has to offer. All we need to do is change the Base SDK in Xcode 5. Let me show you how it’s done. The “iOS 6 Legacy Look” as I’d like to call it is actually called “iOS 6 Compatibility Mode” and it’s achieved by compiling against an older Base SDK. Each version of Xcode only ships with the most recent one, but if more than one is present in your Xcode installation you can easily switch between them on a per-app basis. This is exactly what we want! First we need to get hold of the old iOS 6 Base SDK. It comes with Xcode 4.6.3 which is still available from Apple. You can also hunt for it on an old Time Machine backup, or if you’re like me you may even have in installed side by side with Xcode 5 (I’m not taking any chances). You should now have two folders inside the SDKs folder, one for iOS 6.1 and one for iOS 7.0. Awesome! Restart Xcode for those changes to be acknowledged. 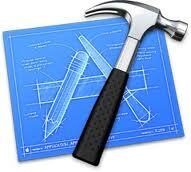 Open your project in Xcode 5 and head over to the Project Properties. That’s the big blue strip at the top of the Navigator pane (the one on the left). Select Build Settings from the middle pane at the top and find an option called Base SDK (it’s under Architectures). Select the iOS 6.1 SDK and run your app in the iOS 7 Simulator. You’ll be pleased to see all the old legacy styles we’ve come to love from the past, without iOS 7 ruining your carefully crafted app.